One of our favorite labels, Dust-to-Digital, salutes all the mothers with an exquisitely-designed 96-page hardback book featuring 65 antique photographs from such noted collectors as Sarah Bryan and Jim Linderman. Included are two CDs containing 40 vintage recordings from 1927-1956 from such esteemed 78 collectors as Joe Bussard. Artists include the Louvin Brothers, Bob Wills, Wade Mainer, Maddox Brothers & Rose, the Carter Family, and more. 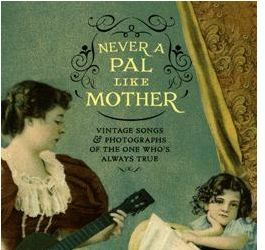 Never a Pal Like Mother is a treasure tribute to mothers past, present and future. See complete track list below. 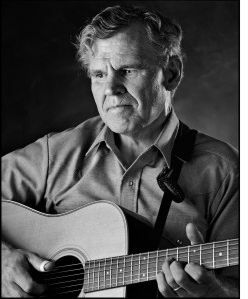 Bluegrass music pioneer Wade Mainer passed away yesterday. He was 104 years old. Mainer's health took a sudden down turn about a week ago and he passed away Monday, September 12, 2011. He was probably best known for his work with the Sons of the Mountaineers which bridged the gap between old-time music and bluegrass. While his banjo technique was a two-finger style, rather than the Scruggs three-finger bluegrass rolls, his style was definitely an influence on Earl Scrugg's three finger technique.